Are you looking for an experienced Brandon MS real estate agent in the counties of Rankin, Hinds, Madison, Scott or Smith, one who knows the areas well? 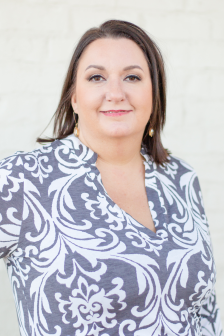 Allison has a special love for first-time home buyers and enjoys the magic moment when her clients find “The House.” Whether you’re looking to purchase that perfect home or to sell your current home, Allison will always provide you with the exceptional service that you deserve. Allison servers on various professional boards and enjoys volunteering her time and skills to help make the community a better place. Allison is a member of the First Baptist Church of Brandon where she enjoys teaching children’s Sunday School or volunteering in other areas. She serves as the President of the Board at The Crossgates Swim and Recreation Club, a non profit organization. Other organizations that Allison has been affiliated with or enjoys advocating for include the American Red Cross, MS Spay and Neuter, Junior Achievement, Girl Scouts of America and all of the various Brandon School’s Parent Teacher Organizations and homeschooling organizations.